If you have ever suffered from blemishes, you are familiar with that urgent need to have them disappear as quickly as they appeared on your face. In many cases, you might be searching for a more natural, safer alternative to mainstream acne solutions. 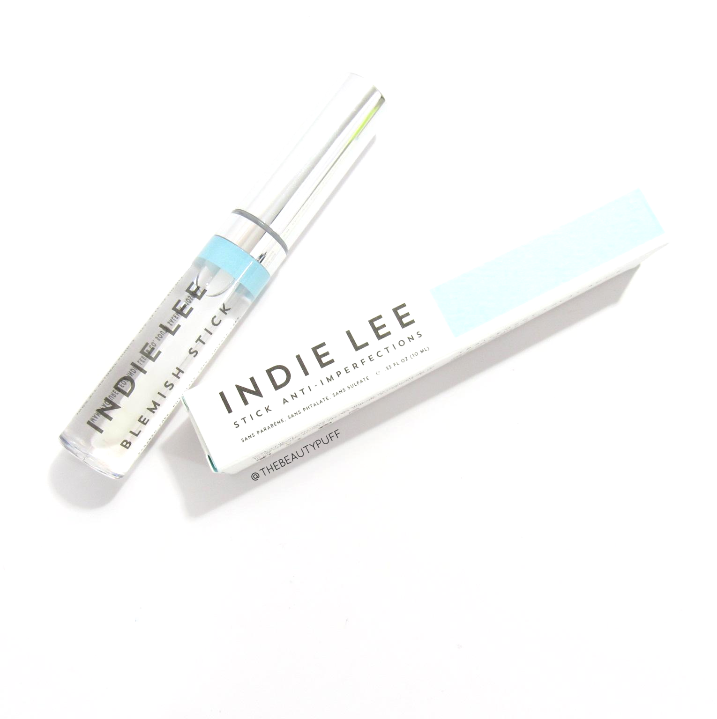 Enter Indie Lee - an echo-chic skincare line filled with more natural options for all your skincare needs. 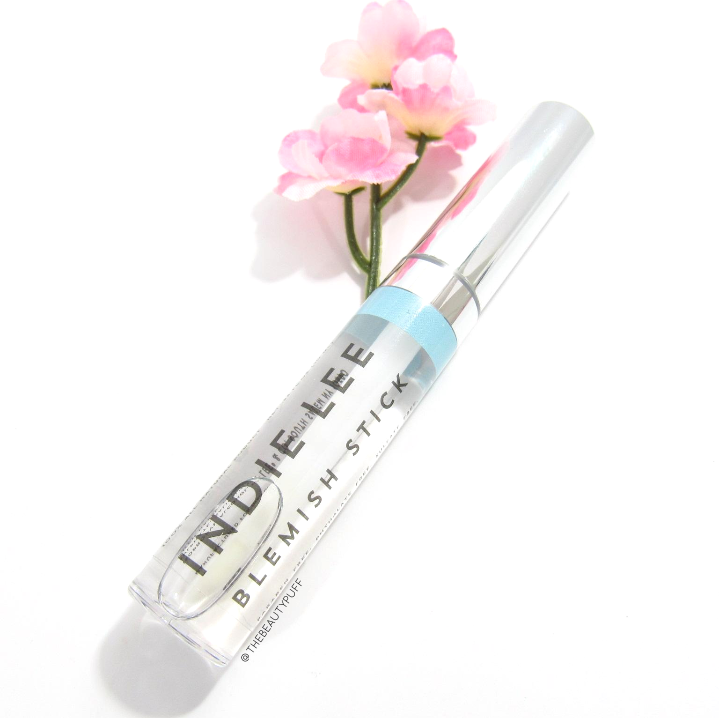 Today we will focus on the Blemish Stick, which contrary to its name, is not a stick at all! The premise behind this Blemish Stick is to provide an easy, convenient, and discreet spot treatment any time of day. At a distance, this stick looks like a standard lip gloss tube. However, give it a closer look and you'll find it is actually filled with a clear liquid. The formula goes on and dries as clear as it looks in the tube, with no residue or unflattering texture as it dries. You can actually apply this treatment before or after makeup application! One thing I dislike about some spot treatments is that they are obvious and can't be used in conjunction with makeup and "work their magic" during the day. Like most, I'm busy and I want my skincare to work as hard as I do throughout the day. So it's no wonder I've been loving this product! How to | I use this product morning and night after I've washed my face. I want to be sure it is coming in direct contact with my skin, though you can certainly reapply over makeup if you choose. The applicator does not need to be disinfected since the formula is self-disinfecting. All you need to do is rinse the applicator with warm water every few days to remove any dirt or makeup. Results | I love how this product has reduced the size and redness of my blemishes! I also like that there has been no excessive dryness or irritation around the treated areas. The formula is effective, yet gentle on my skin as I haven't experienced any sensitivity or redness. All-in-all, a fabulous everyday blemish treatment that can easily be incorporated into your skincare routine! You can find the Indie Lee Blemish Stick below along with her entire line of skincare products!